By using a Fabric First approach, an investment in Val-U-Therm PLUS® wall, roof and floor panels will last for the life of the building, durable for a minimum 60 years – unlike renewables that need continual control by the occupants as well as frequent maintenance and certain replacement during the lifetime of the property. The Val-U-Therm PLUS® system gives warm, draught-proof homes with a high comfort factor – Fit & Forget. 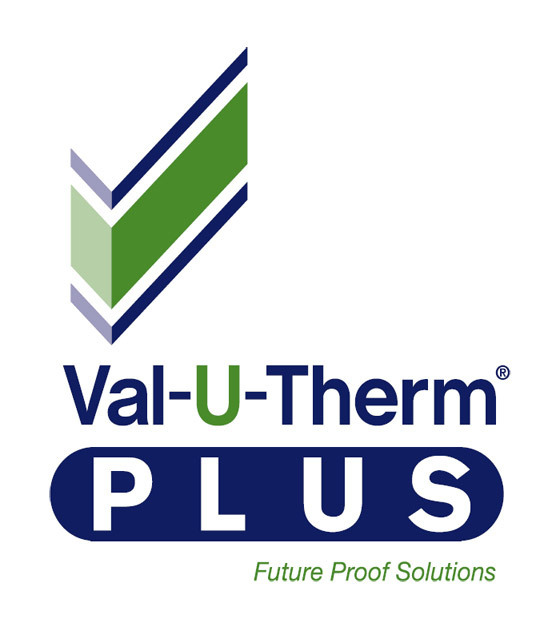 Val-U-Therm PLUS® will contribute towards providing solutions for whatever specification is required, be it ‘A’ rated Energy Performance Certificates, the highest levels of the Code for Sustainable Homes or PassivHaus. With ever changing Building Regulations you can have future proofing at the level you desire. Val-U-Therm PLUS® offers a practical cost-effective solution to not only meet but surpass these new regulations now. It is suitable for all types of domestic and commercial architecture, design, external treatment and internal finish. Factory quality controlled Val-U-Therm PLUS injected polyurethane insulation fills every millimetre of every void in the panel. Val-U-Therm PLUS® brings significant reductions in space heating energy costs. Specially developed microcellular technology giving smaller cell size in an improved cell structure – the insulation contains literally billions of bubbles. Approximately 25% of heat loss can be through thermal bridging. Our thermally modelled energy saving details can give up to a 10% reduction in CO2 emissions compared to “standard” timber frame details. Third party accredited thermal bridging details / psi values to give Y values of circa 0.03 W/m2K are available. Control of thermal bridging and air tightness is more assured and less dependent on site workmanship. Val-U-Therm PLUS® has no ‘tacked-on’ awkward extra layers of insulation on the outside or inside of the structure – all the factory injected insulation is integrated within the building panel. Where required, windows and external doors (even patio doors) can be factory fitted before the panels are transported to site. No requirement for “special” wall ties. Less on site materials handling, storage, waste, theft & security issues. The Val-U-Therm PLUS® panels can be erected extremely quickly thereby reducing timescales and speeding up the build programme. Greater accuracy and a better standard of finish on handover. By far the largest environmental saving is from reduced energy use after construction and during the life of the building using Val-U-Therm PLUS® panels. All of the timber in Val-U-Therm PLUS® comes from renewable sources accredited by FSC and/or PEFC. Contains an insulation polymer (polyol) derived from recycled renewable vegetable oil. This polyol has 86% Bio-based content based on independent testing to ASTM-D6866 by Beta Analytics in the USA. Val-U-Therm PLUS® panels and the constituent timber & polyurethane insulation can be recycled into new products or burned for energy as a substitute fossil fuel at the end of their final service life.